The answer depends on the type of home healthcare needed. With a doctor’s order, Medicare, Medicaid and other health insurances cover skilled nursing care at home for a patient’s acute condition. In these cases, the patient must be considered “homebound”, which means the patient is unable to leave the home without assistance and transport outside of the home is difficult. In this situation, skilled care is intended to help the patient reach the highest level of independence possible. As long as the treatments and therapies being provided by the home healthcare team are working, the visits usually will be covered. Sometimes, Medicare, Medicaid or other health insurance company will authorize further visits based on continued need. Of course, there are many examples of people who do not meet these criteria but still need help at home. These patients could have chronic conditions that make it difficult for them to move about in their homes, they could struggle with memory issues that put them at risk for medication mistakes or they could be completely bedridden and in need of constant care. Others may simply need help with preparing meals and bathing. 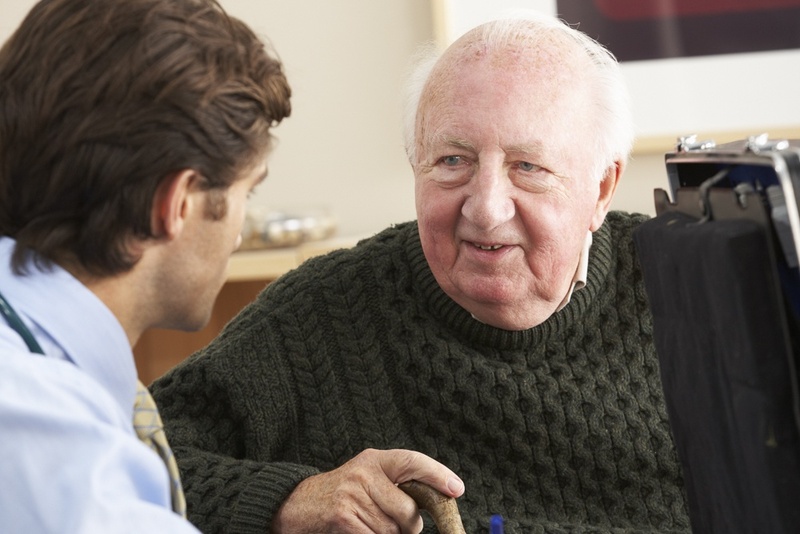 In some cases, people with elderly parents or grandparents may want the peace of mind that comes with having someone simply “check in” on their loved one when they are unable to do so themselves. VNA of Ohio provides services to those clients through private-duty care. These services usually fall under VNA of Ohio’s Home Assist™ program and include help with walking and transfers, grooming and bathing, meal planning and preparation, medication reminders, light housekeeping and companionship. Homecare aides provide these services, and their visits can be as brief as two hours every few weeks or several hours every day. Aides also can be assigned in shifts to provide help 24 hours a day, seven days a week. Assistance even can be arranged for clients who want to travel. Skilled care services provided by registered nurses and other healthcare professionals also are available through VNA of Ohio’s private-duty program. While many clients pay out-of-pocket for these services, some long-term care policies do cover homecare up to a maximum benefit. These policies can provide a safety net for patients who may no longer be able to manage completely by themselves but do not want to leave their homes. It is also important to remember that long-term care insurance premiums are tax deductible. Learn more about VNA of Ohio home health and private-duty services or call us at 1-877-698-6264.